It’s homecoming on a rainy Friday night as the Bartlett High School Bulldogs take on Wortham High School, also the Bulldogs. The field is soaked, but thankfully it’s just rain, no thunderstorms to stop the game. 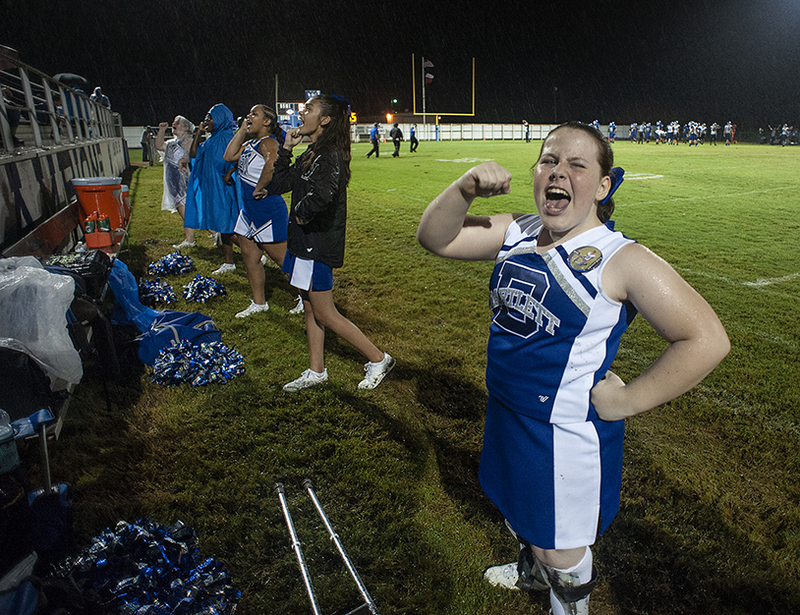 13-year-old Mona Shaw, one of the Bartlett cheerleaders, is unfazed. 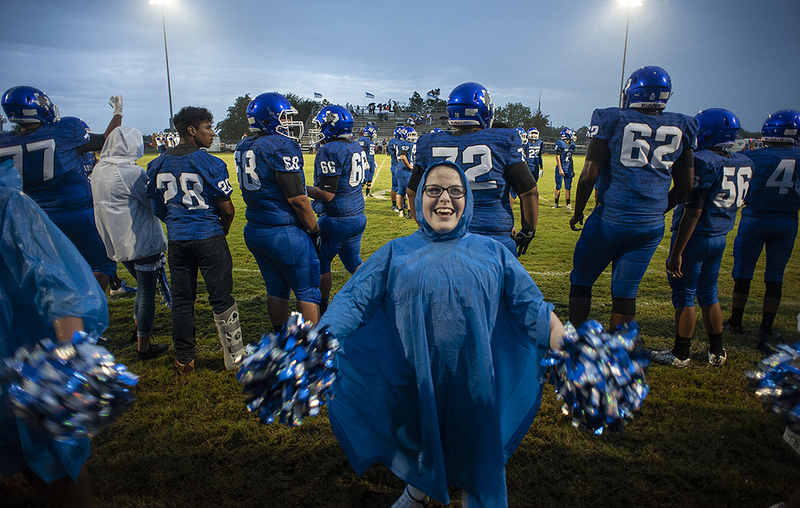 Mona and her three other middle school cheerleading squad members join forces with the varsity cheerleaders for homecoming. 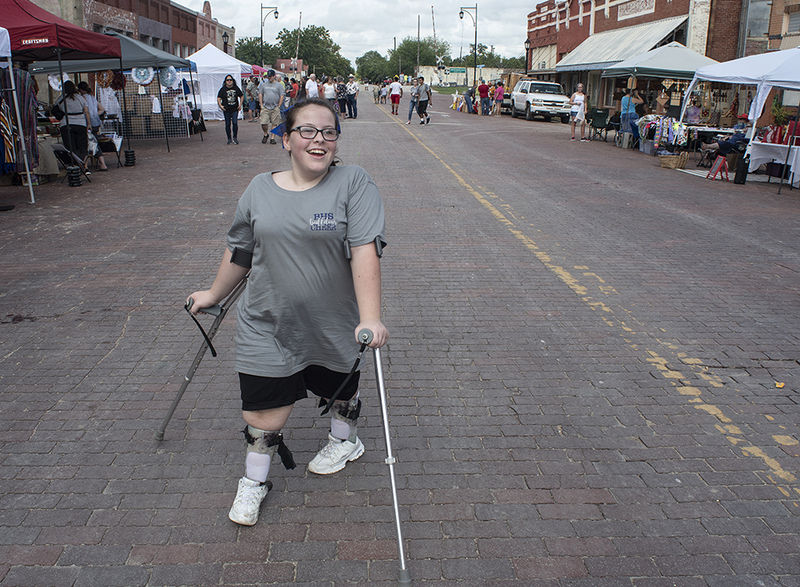 Born with Spina bifida in March 2005, Mona’s not shaken by challenges. The Mayo Clinic defines Spina bifida as a birth defect that occurs when the spine and spinal cord don’t form properly. Within hours after her birth in Round Rock, says her mom, Mary Matthews, Mona was rushed to surgery at St. David’s in Austin. 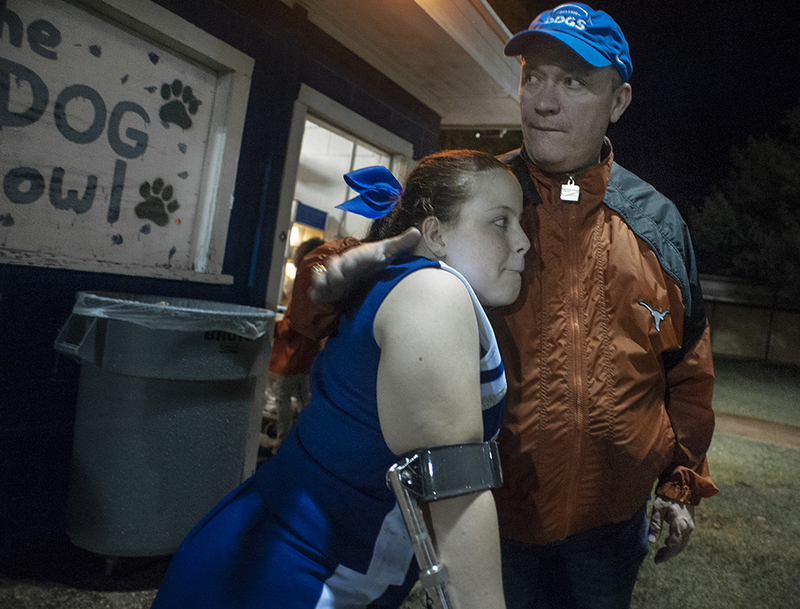 “The doctors told me she’d be paralyzed from the waist down,” said Matthews. The doctors were wrong. 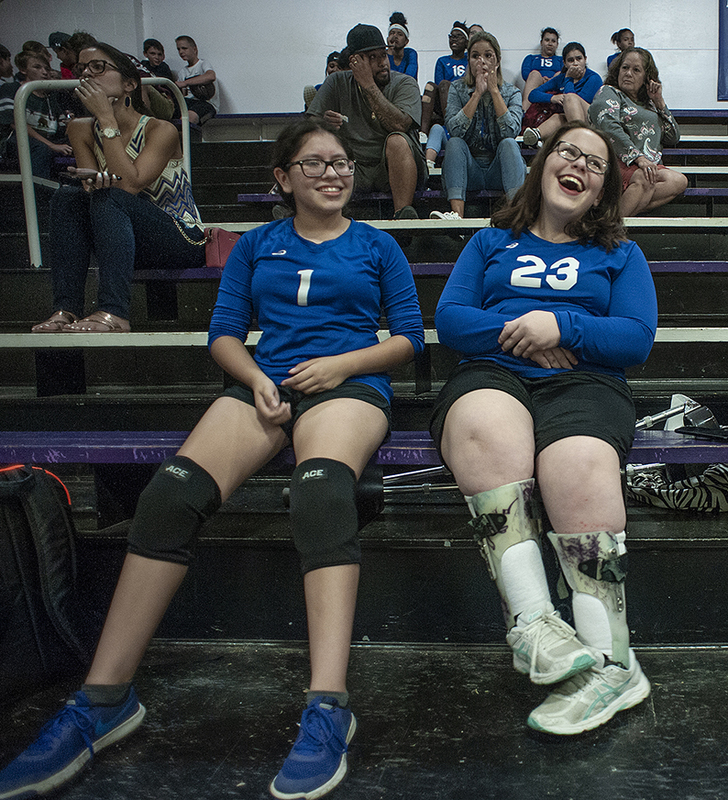 Years of intense physical therapy, plus three more surgeries, have made a difference. And then there’s her determination to excel. In this school community of 340 students, Mona excels. 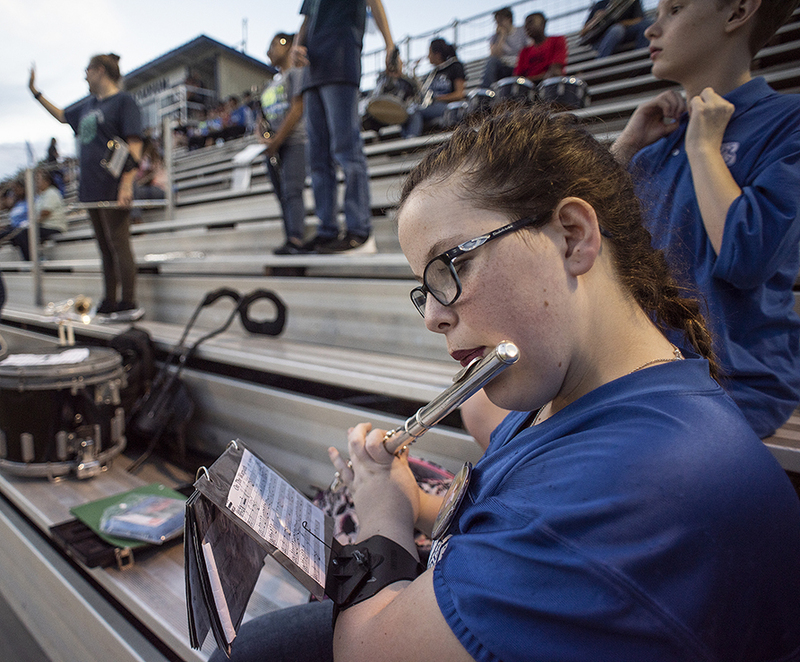 She’s a cheerleader, yes, but she’s also a member of the middle school’s volleyball team and plays flute in the band. 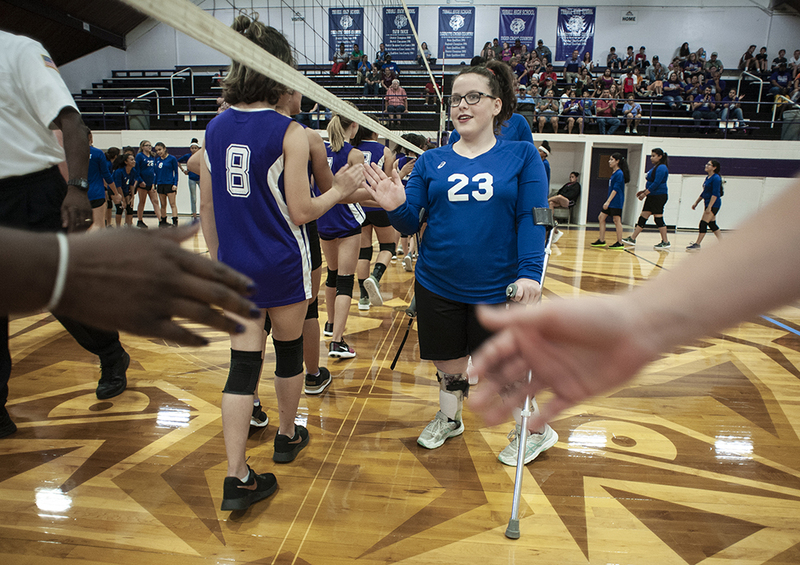 Away from school, she volunteers at her church, First Baptist in Bartlett. Her family supports Mona’s passions. 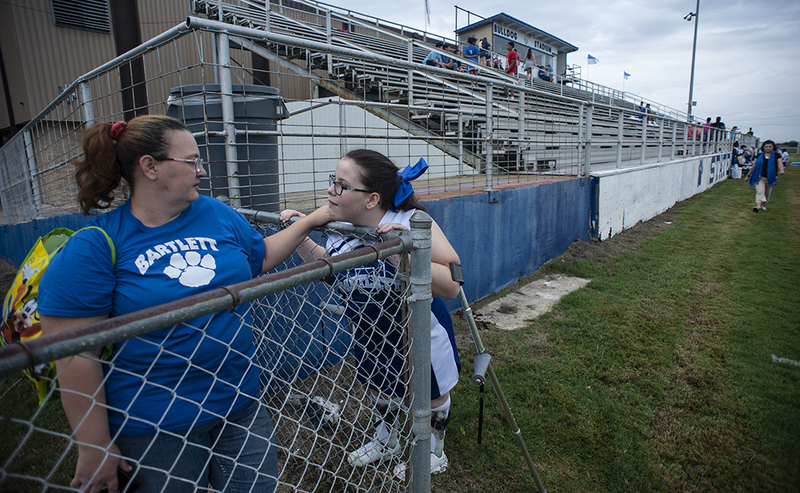 “I’m there for everything she does,” says mom, who also has two sons, Mona’s brother, J.J. Shaw, 17, a junior on s on the football team, and Dominic, 9, a water boy for the football team. Mona Lisa Burnett, Mona’s grandmother and namesake, is often in attendance, too. 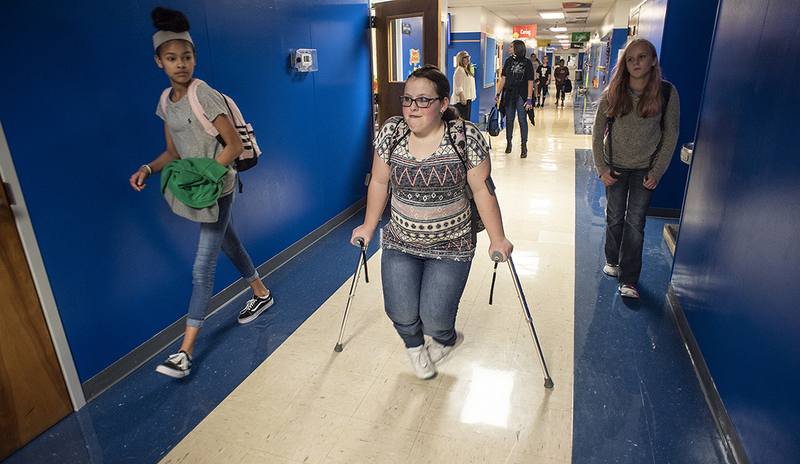 Most days Mona can be seen making her way around the school, maneuvering with ease throughout the halls and grounds. Sometimes, when overloaded with backpacks and books, fellow students come to her aid, but she relishes her independence. Mona’s volleyball coach, Lauren Siple, is also a fan. 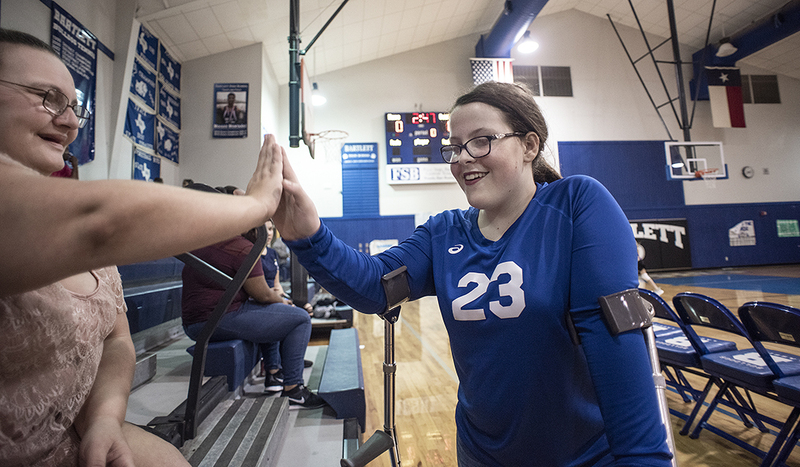 As Mona’s Volleyball coach, it has been not only an inspiration to many of her teammates to see her tryout and play volleyball, but it has been an inspiration to several others that show up to support their loved ones at the junior high volleyball games. 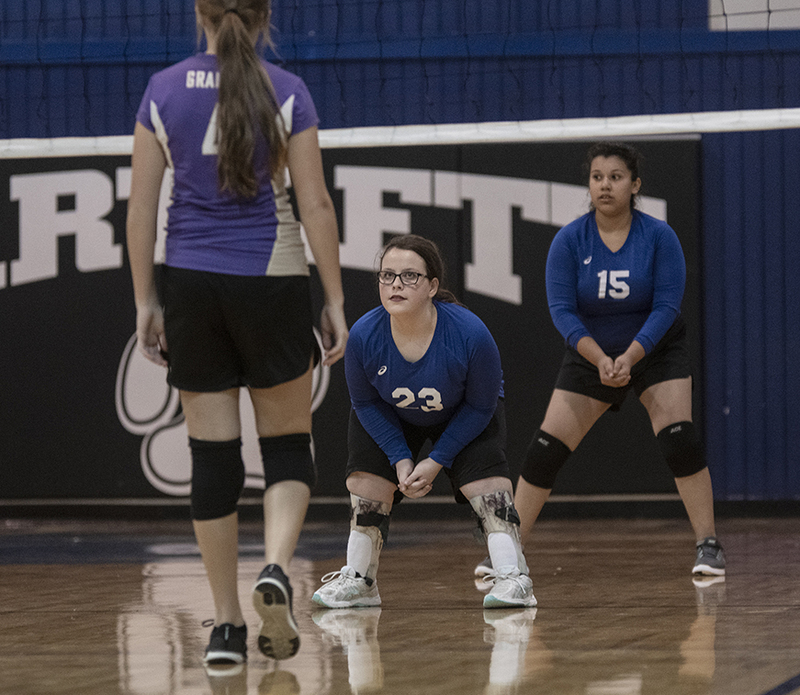 The first day I met Mona, she looked at me with a smile on her face and said something along the lines of “Coach, there is nothing that I can’t do,” this is when I knew I would love to have Mona participate and be a part of Lassie Athletics. Mona pushes herself each and every morning discovering things she didn’t think could be accomplished. I am so excited to see where this athletic program takes her with her determination and drive. Life is about inspiring others and pushing those to accomplish the impossible, and I believe Mona’s story does just that! Cheerleading is a natural fit for Mona. 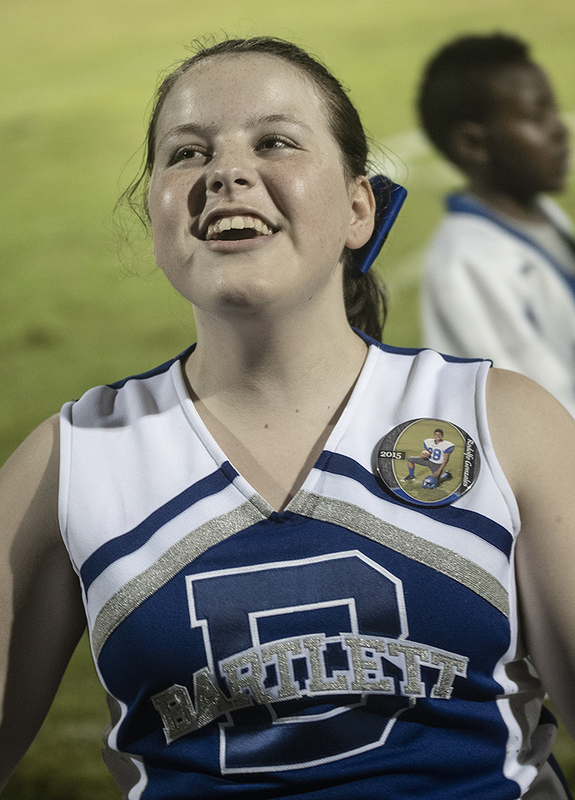 Her mom says she’s been to every high school football game since birth, except for one time for one of her surgeries. After that, according to Matthews, Mona made it clear, telling her doctor “If you’re going to do surgery again, you’re the team, everyone’s cheering for Mona. This entry was posted in Uncategorized on October 2, 2018 by 23642459.